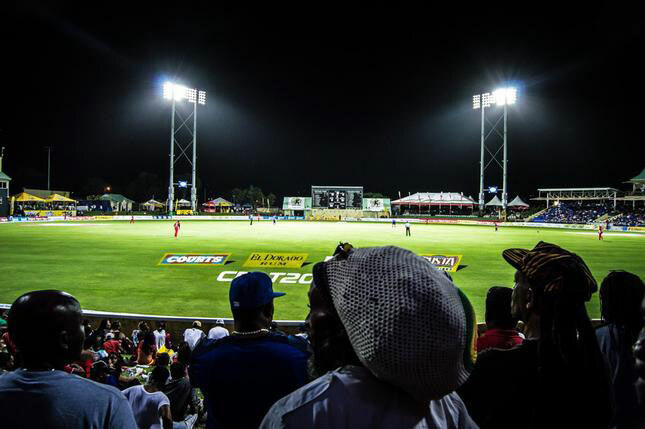 Basseterre, St. Kitts– Dates for the Caribbean Premier League (CPL) games to be staged in Warner Park St. Kitts and Nevis have been announced with the Federation slated to host four games. The CPL will bowl off on August 5 in St. Lucia with the St. Lucia Stars facing the Trinbago Knight Riders. Games at Warner Park will run from August 18-23 with the new look St. Kitts and Nevis Patriots doing battle with four of their counterparts. On April 18, the Patriots will face the Barbados Tridents, then will come up against the rebranded St. Lucia Stars a day later. On the 21st they will face the defending champions Jamaica Tallawahs at the same venue before finishing off their home stand Trinbago Knight Riders on Aug. 23. The CPL will also host multiple Matches in Florida as was initiated in 2016 with the game being held on Aug. 5 and 6. CPL did not announce the location of the finals week with rumours swirling that the organization is considering a bid from Singapore to play that leg of the competition in that country. CPL CEO Damian O’Donohue expressed delight and indicated that they were announced to give fans sponsors and stakeholders opportunity to plan their trips and holidays for the biggest party in sports. “Last year was the tournament’s biggest, with a global TV and online audience of almost 150 million and in the region of 250,000 fans attending our games. We are determined to enhance the fan participation across each venue, ensuring an even better experience for the many thousands of fans who will descend on each of our seven host countries,” he said. He stated that they have successfully attracted some of the best talent in the world and are excited to welcome the new players who are set to make their debuts in the competition. “Once more we have the best talent in world cricket across our six teams. There has been a lot of eye-catching transfers, with Chris Gayle, Lendl Simmons and Dwayne Smith moving sides in the close season and the likes of Afghanistan’s exciting leg-spinner Rashid Khan, Chris Morris and Kane Williamson set to make their tournament bows. We are excited to welcome such a high calibre of talented, local and international players to the Hero CPL in just a few months’ time,” he declared. The CPL head said they would like to use the tournament to focus on promotingCaribbean culture to the rest of the world. “It is our pledge to make the 2017 Hero CPL the ‘Year of the Fan’ and there’s a lot of work going on behind the scenes to showcase all that is great about Caribbean culture, society and sport around the world,” he said.